Professor John Buchanan is Chair of the Discipline of Business Analytics at the University of Sydney Business School. Previously, between 1988 and 1991 he was part of the team that undertook the first Australian Workplace Industrial Relations Survey (AWIRS). In 1991, he joined the Workplace Research Centre (formerly acirrt) and served as its Director from 2005 - 2014. Between 1988 and 1991 he was part of the team that undertook the first Australian Workplace Industrial Relations Survey (AWIRS). 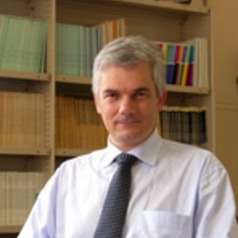 He joined the Workplace Research Centre (formerly acirrt) in 1991 and has been its Director since 2005. Until recently his major research interest has been the demise of the classical wage earner model of employment and the role of the state in nurturing new forms of multi-employer co-ordination to promote both efficiency and fairness in the labour market. Building on this research, he is now devoting special attention to the evolution of working life transition, the dynamics of workforce development and the connection between work, health and wellbeing. Professor Buchanan is currently Network Leader for the University of Sydney's Health and Work Research Network - a consortium involving experts from the Business School, Medical, Health Sciences and four other faculties. He was one of the authors of Australia at work: just managing? (1999) of Fragmented Futures: New Challenges in Working Life published by Federation Press in 2003. These texts provide an overview of the restructuring of work in Australia since the 1970s. He most recently co-edited a book called Inclusive Growth in Australia: Social policy as economic investment, published by Allen & Unwin in 2013.